That’s right! There’s a lot more to Canada than maple syrup, polar bears and a strapping young Prime Minister! The country is home to a number of viticultural areas with unique micro-climates, located on the same ideal grape growing latitudes as much of France. In our last post (A Look at the Sparkling Wines of Canada… Eh!) we took you across the country, from coast-to-coast, and gave you an overview of the amazing cool-climate sparkling wine crafted in the Great White North. Now we’re going to focus in on each of the 3 main viticultural areas in greater detail, starting with our home province: Ontario! (With British Columbia and Nova Scotia to follow in subsequent posts ). Ontario is divided into 3 appellations – The Niagara Peninsula, Prince Edward County and Lake Erie North Shore. The Niagara Peninsula itself is divided into 2 regional appellations, which are broken down even further into 10 sub-appellations, each with their own unique character. (For a detailed looked at Ontario’s appellation system, check out this super helpful appellation overview) by VQA Ontario. So what makes Ontario Sparkling so Spectacular? It’s all in the Attitude and Latitude baby! Ontario’s wine growing regions lie between 41° – 44° north. If you’re not a map or numbers person (let’s get real, who is after a glass or two of bubbly?!) that’s about the equivalent to southern and central France. With Champagne not that far off… sitting at 49° north. Interesting, eh? This cool climate has a broad diurnal range (the difference between the high and low temperatures in a day) and lots of sunshine during the growing season. The shift in daily temperature attributes a much more complex flavour profile to the grapes, in comparison to what you’d see in a warmer growing region. The added complexity (combined with the naturally high acidity) results in crisp and complex wines that make the perfect base for bubbly! Most of Ontario was a sea bed in the olden days of dinosaurs, and the fossils that these creatures left behind contribute to the limestone-based shale and clay loam soils of the region. Like in the Champagne region of France, the soil imparts minerality onto the wines, and in turn contributes to its complexity. You Did a Grape Job Raisin Me! A Method to the Magic! The Traditional Method (following the same process as in the Champagne) is the clear winner here, accounting for about 65% of production, with the Cuvée Close (or Charmat) Method (like Prosecco) accounting for about 35%. While the overall production may still be quite small on a global scale (just over 1,000,000 litres in 2017), the quality (based on terroir, grape varietals, and winemaking practices) has resulted in some impeccable world class sparkling wine being produced in Ontario! So Let’s Sum Things Up, Shall We? Ontario’s three appellations – Niagara, Lake Eerie North Shore and Prince Edward County – share a similar latitude, climate, terroir and penchant for certain vitis vinifera as in the Champagne. Those characteristics are certainly helpful in evoking the great notes of premium Champagne-like sparkling wines: crispness, refreshing citrus and tree fruit aromas, warm brioche notes, a distinct minerality and almond character. Now Get Out There and Taste Some! If you’ve made it this far you’re probably thirsty (I know we are!) So here are a few of our favourite Ontario sparkling winemakers that we suggest you try! All of them are paving the way for what we believe will be Canada’s next best export: Bubbly!  Kew Vineyards Estate Winery, Hinterland Wine Company, Henry of Pelham, The Grange of Prince Edward County, Trius, Westcott Vineyards & Château des Charmes. Note: Ontario wine can be difficult to find outside of the province, so if you can’t plan a visit check out this handy list that’ll show you where in the world you can find Ontario wine! 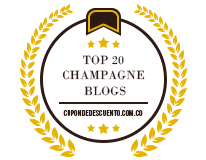 Hey Buddy!, I found this information for you: "A Closer Look at the Spectacular Sparkling Wines of Ontario, Canada!". Here is the website link: http://sparklingwinos.com/a-closer-look-at-the-spectacular-sparkling-wines-of-ontario-canada/. Thank you.